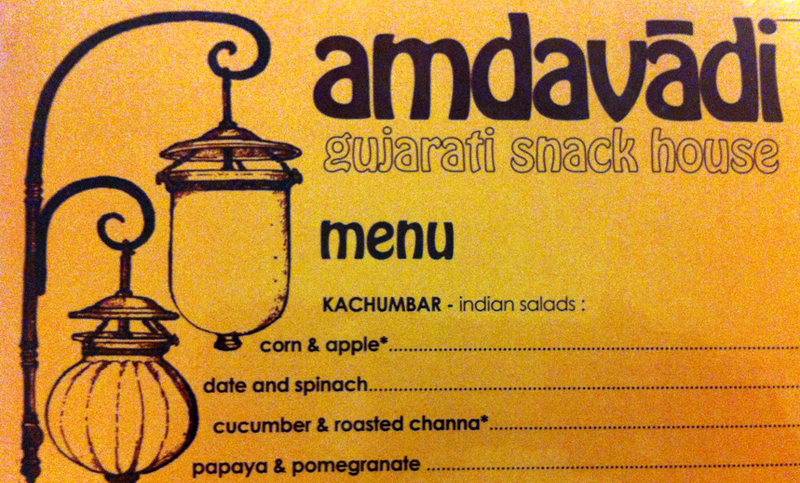 The Gujarati snack house, Amdavaadi, in T Nagar is just two months old. Having read about it in CFG and seeing an ad in The Hindu, we were tempted to hit the place & try out. Well lit and no fancy chairs / sofas et al. Decor is kept simple and neat. Seated ourselves and eagerly scanned the menu. 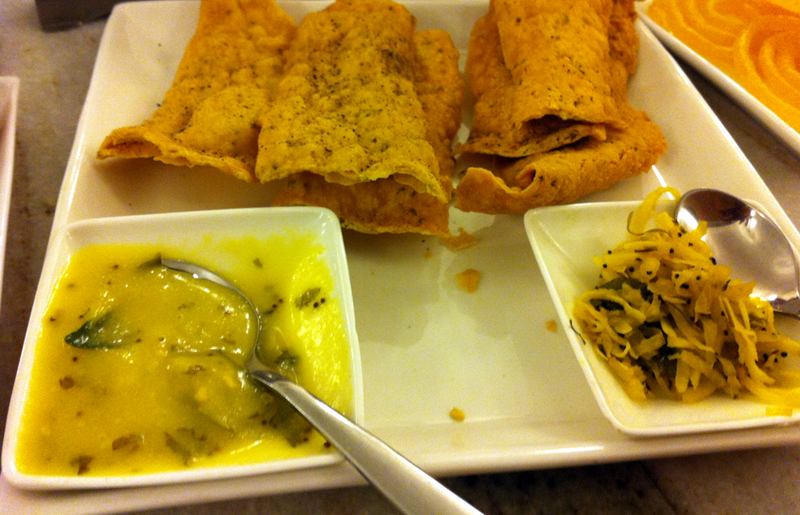 Fafda is a Besan based crispy item – good thing to snack on. Combining this with Kadi chutney & raw papaya salad, gave a good taste. And yes, I quite liked it! Manager of the snack house helped us choose as well and he suggested to go with Samosa — oh yea! He did mention that it is a regular item that you get but try ours and won’t be disappointed! 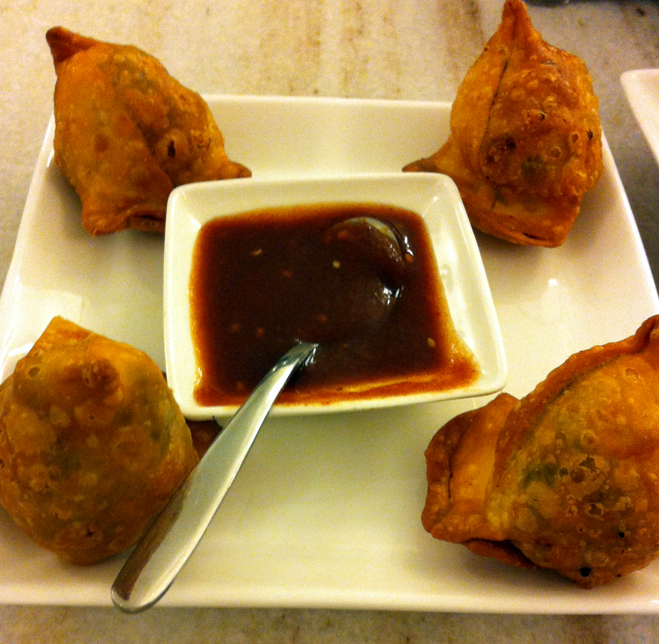 So there goes our next starter – Samosa! 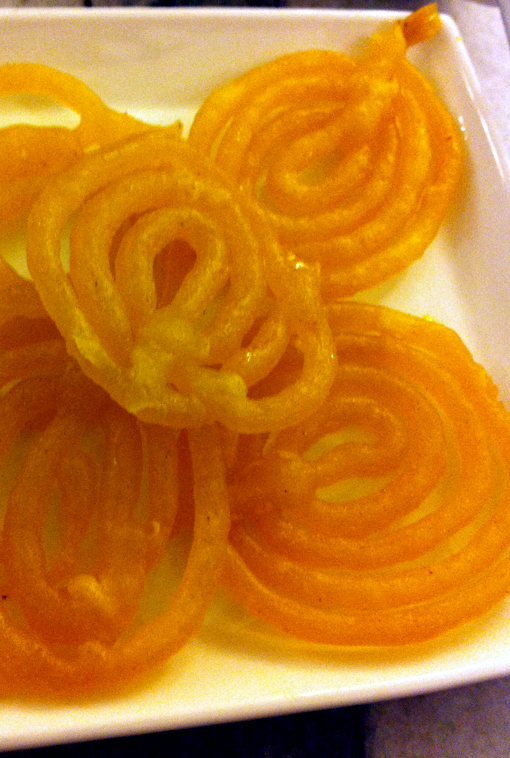 Smaller in size yet yummy in taste! Samosa was hot and tasted good. Internal stuffing seemingly had kasuri methi & a pinch of mint leaves. True though a regular item, this was definitely good. 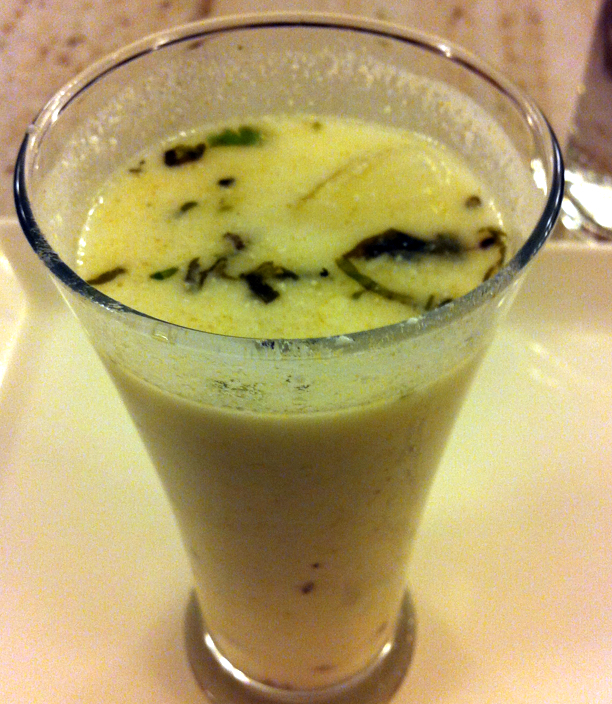 While munching on the starters & sipping our drinks, we ordered ourselves “Methi Thepla with Oondiya” — this again was good. We didn’t find too spicy stuffs…gave us a feel of Home made food – with right amount of spices. By the end, we were full but not heavy! Overall, we liked the place. Service was also fast. Food was good. FB Profile: They are not yet in FB – we were told!